Peppermint Bark is my favorite holiday treat. I used to make batches of it and give it to neighbors. We have even made peppermint bark brownies and peppermint bark fudge. Can you see the theme here? 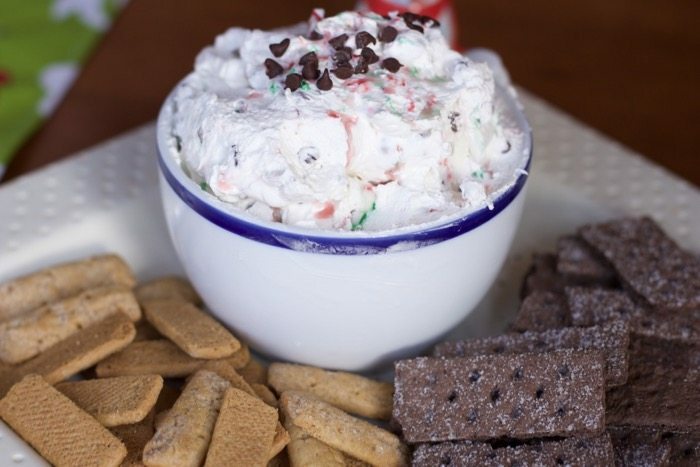 Well this recipe for Peppermint Bark Dip takes it to a new level. 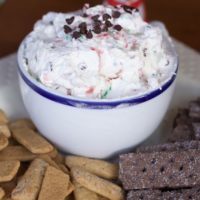 This dessert dip recipe not only is easy to make but you may not want to serve it to guests because you will want to gobble it up yourself! 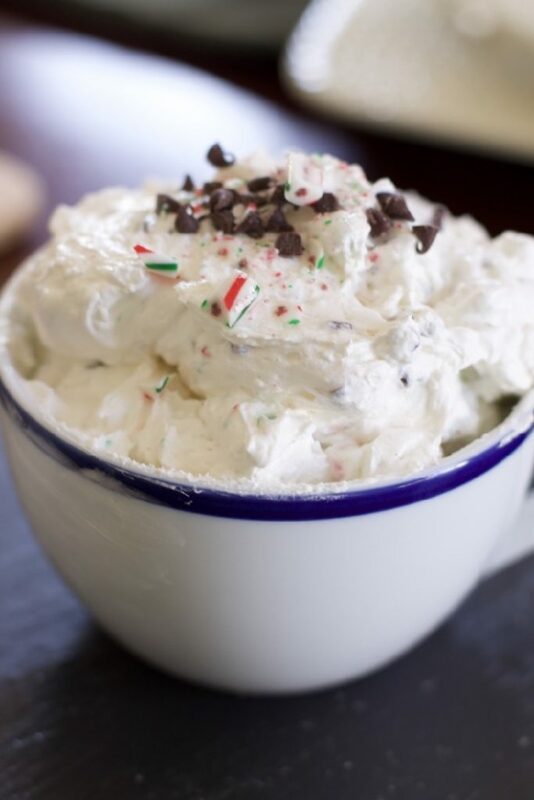 Just 5 ingredients and you have a unique dessert dip that will surprise your guests. Be sure to watch the video, it could not be any easier. Literally you put all the ingredients into a mixer and a few minutes later you have a fluffy dessert dip ready for dipping. Personally I loved using the red white and green candy canes, I thought the colors were so festive. 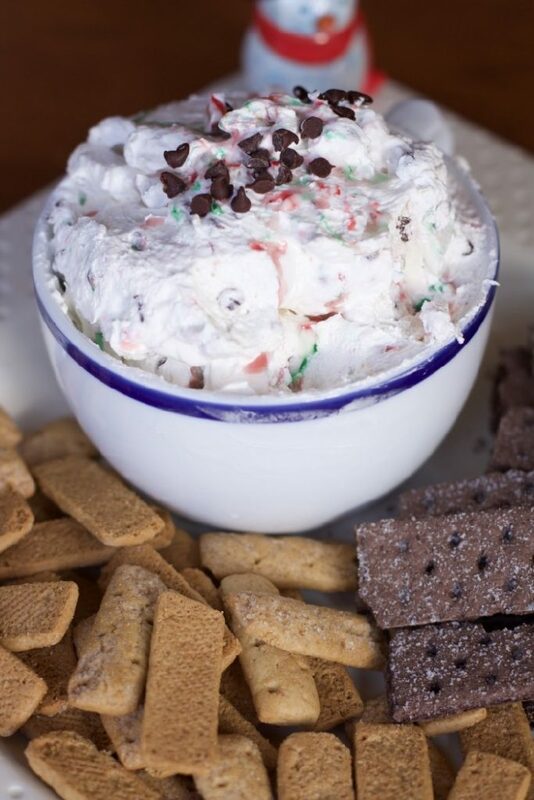 Peppermint Bark dip is the perfect dessert to take along to a pot luck. This recipe is very portable and can be made a few days ahead of time. I was personally surprised how well it still looks after 3 days. I thought the cool whip would have changed the consistency by now. Plus the peppermint flavor is really prominent now versus making and serving it the same day. 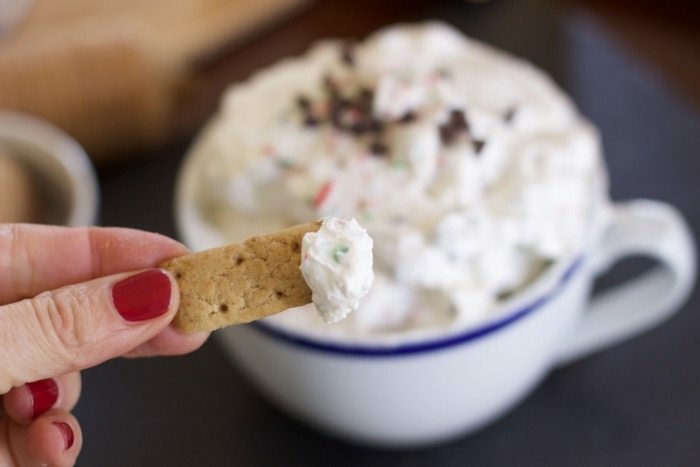 This dip is best served with graham crackers both regular and chocolate. Heck you can even make it lower fat by using low fat cream cheese and cool whip. It’s the holidays so who is really checking off calories this time of year anyway? Be sure to pin this recipe next time you are looking for a unique dessert. Beat cream cheese using an electric mixer until it's light and fluffy, then mix in thawed whipped topping. 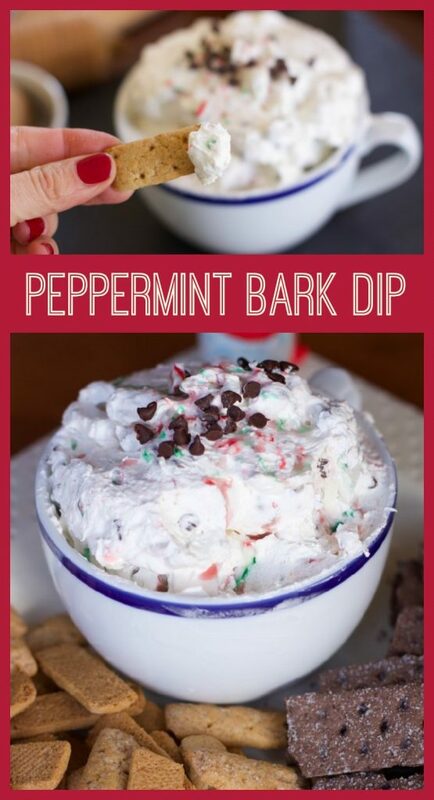 Stir in peppermint sticks, then fold in mini chocolate chips. Serve with graham crackers or chocolate graham crackers.